It is inevitable that Northerners will get spring fever in the next couple months and weeks until Spring has officially arrived. We are craving the rush of energy that pushes up through the ground, giving us the first signs that winter is over. The bright yellow flourish of the forsythia, the parade of colorful tulips, the early blooming dogwood trees, daffodils, crocuses and all the smells and sights that bring us ultimate joy and exhilaration. 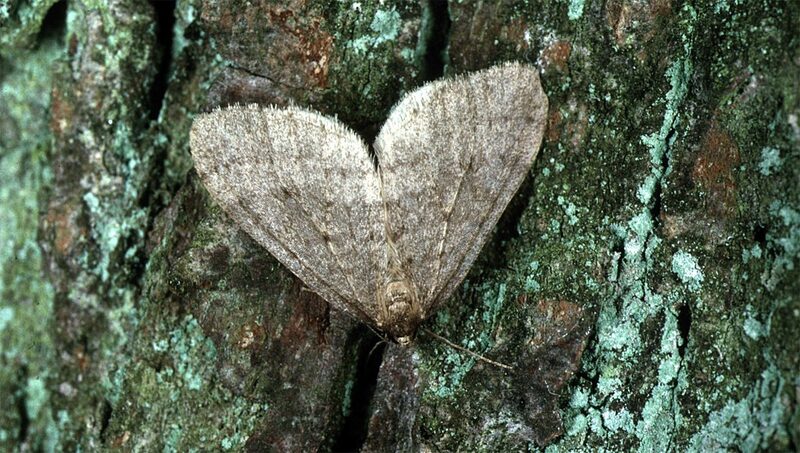 With all this excitement, it may be easy to overlook one of the most devastating signs that the Winter Moth, (Operophtera brumata), has already done its destruction. By the time the trees have leafed out and begun to bloom, this atrocious intruder has already hatched and feed ravenously on the leaves and fruit beginning early spring. Larvae has feed on the inside of the buds and leaf clusters during the day, inching their way to the outside of leaves at night. The Winter Moth is a common threat in our area but there are ways to overcome this voracious pest. Take inventory: In early spring, look for the winter moth in their favorite hangout areas, like inside buds and leaf clusters. At night, look with flashlight to see them on outside of leaves.Search trunks of trees October through January. At this stage they are in moth form and will be grayish brown with 1″ wingspans, and appear hairy; females have no wings. Keep a record of what you see and what you don’t see. Make a Plan: Figure out which stages of the Winter Moth lifecycle you can impact. In winter, search trees for wingless females. They are easy to catch. Look for the male moths around the trunk of tree, waiting to mate. Determine the severity of the problem: The health of your tree can withstand some leaf loss and doing nothing might be all you have to do. The Winter Moth is also the prey of many other natural predators and parasites. Praying with dormant oil: Because many winter moth eggs are exposed on the bark, horticultural oil spray can potentially be used to control the moths on small trees and shrubs. Typically, dormant oil sprays are applied in the very late winter or very early spring depending on temperatures. When applying oil sprays, it is necessary to have temperatures above 45° F and to avoid applying oil when temperatures may dip below freezing for 24-48 hours after application. Below this threshold, there’s a considerable potential for injuring the plant. If you believe you have a serious infestation affecting many trees on your property, you should consult an arborist or reputable tree service. Physical Barriers:Physical barriers such as sticky tape is a method that works with limited success. The problem is that the number of winter moths are so great that, while the first moths are trapped, later moths will simply crawl over their bodies. Also, sticky tape doesn’t address the caterpillars that have ballooned into the trees upper reaches. This said, it is still a good organic method to use other than chemically treating your trees.